Vacuum excavation is a growing — and in some cases a mandated — methodology for digging near underground utilities, at compressor stations or refineries. One of the companies doing its fair share of the work in the Southeast United States is Delta Daylighting. Operating out of Houston, the company works in the Texas Gulf Coast region but has worked on several projects out of the state as it builds its reputation for reliable and efficient services. Opening its doors in 2013, the company, like many in the vacuum excavation industry, works as a subcontractor for larger pipeline and oil and gas contractors. In Delta Daylighting’s case that includes Sunland Construction, Strike, Tucker Midstream, Primoris and Troy Construction, to name a few. Projects include work for customers including Kinder Morgan, Marathon, Shell, Williams and Enterprise. In the last year, Delta Daylighting crews spent about nine months in Tennessee working on a Kinder Morgan station project, in Missouri and Oklahoma working on Marathon’s Ozark Pipeline project, and they traveled to Georgia, Alabama, Mississippi, and North and South Carolina on various Williams Transco Pipeline projects. Operating the trucks in the field is a crew of 20 full-time employees and an additional 30 temporary hires when the workload hits its peak. It is in this realm that Pletts sees the biggest issue emerging for the industry — a lack of skilled workers. 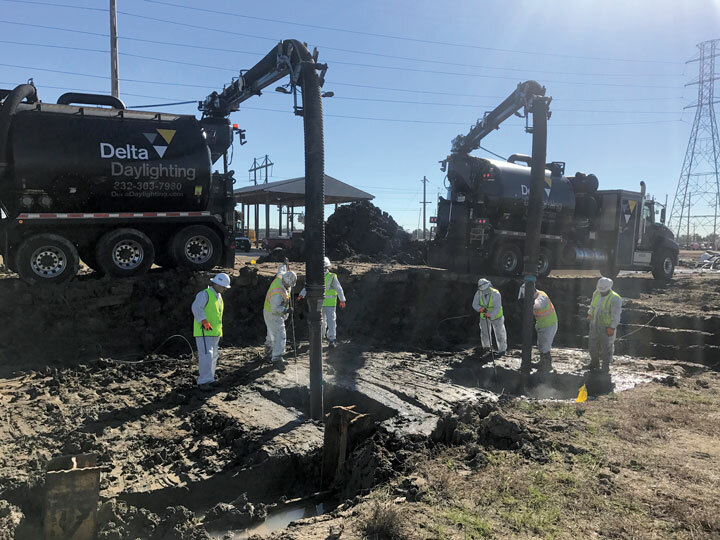 According to Jesse Pletts, Delta Daylighting president, the CV Series hydro-excavators are ideally suited to work in ground formations present in the Southeast United States. Delta Daylighting’s crews complete an assortment of projects that test the possibilities of what a vacuum excavator can do, including potholing and line locating to creating 5x5x10 boxes and massive trenches. 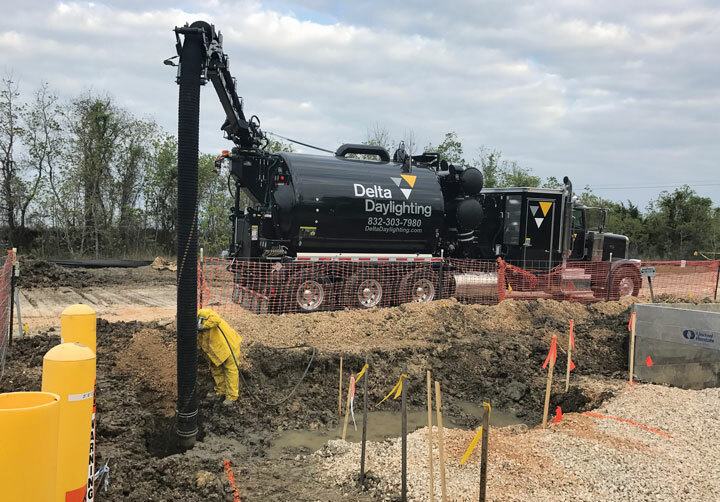 To help keep pace with this busy schedule, Delta Daylighting relies on an in-house fleet of eight Kaiser Premier CV Series hydro-excavators, though the company typically adds another six rental units during the peak summer months. Pletts, who joined the company in 2016, says that when he started, they were running equipment from another manufacturer, but it could not meet the demands of the work Delta Daylighting was performing. It slowly transitioned to the current fleet, which as of 2018 is solely sourced from Kaiser-Premier. One of the keys to this in the region where his crews work, is the use of a hydro-excavator versus a suction excavator (air only or combination), which Pletts notes some people are using as a way to save water and be able to dump the spoils more easily. He adds that the CV Series, with its Robuschi vacuum blower system and the high-pressure waterjet technology allows his crews to easily cut through the dirt in a safe, timely and productive manner. All three of which have become hallmarks of a Delta Daylighting project. Based on his conservative estimates, the crews haul about 20 cubic yards of material a day. That number increases if there is a water source nearby and the ability to dump debris on site. Delta Daylighting operates a fleet of eight Kaiser Premier CV Series hydro-excavators working on oil and gas pipelines, compressor stations and refineries in the Southeast. These are important things when working in an industry that is growing and still fairly fragmented. According to Pletts, there are many small owner-operators running one or two trucks, a large chunk of mid-size companies like Delta Daylighting and a handful of large companies. Looking ahead, Pletts sees more companies entering the industry, but also a consolidation of some of these regional players too. 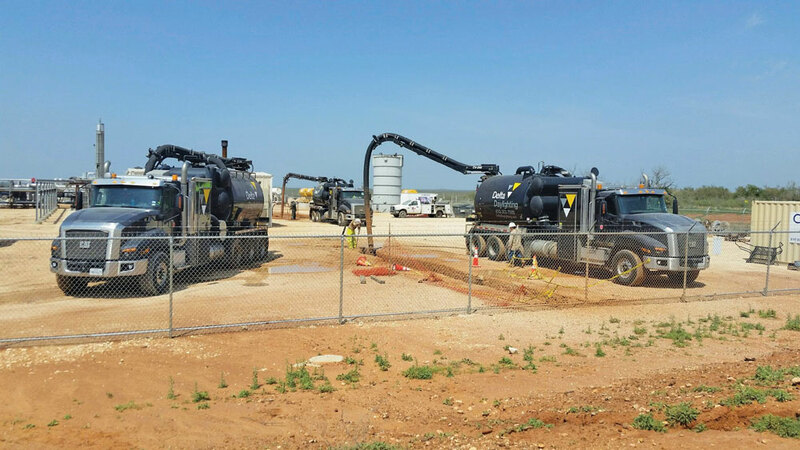 Running the CV Series has helped Delta Daylighting enhance its reputation for timely, accurate and safe vacuum excavation services. 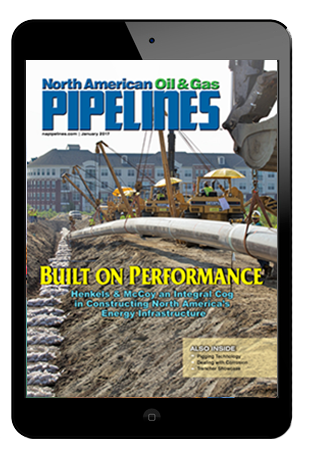 Mike Kezdi is associated editor of North American Oil & Gas Pipelines. He can be reached at mkezdi@benjaminmedia.com.